SHERBROOKE, Que. 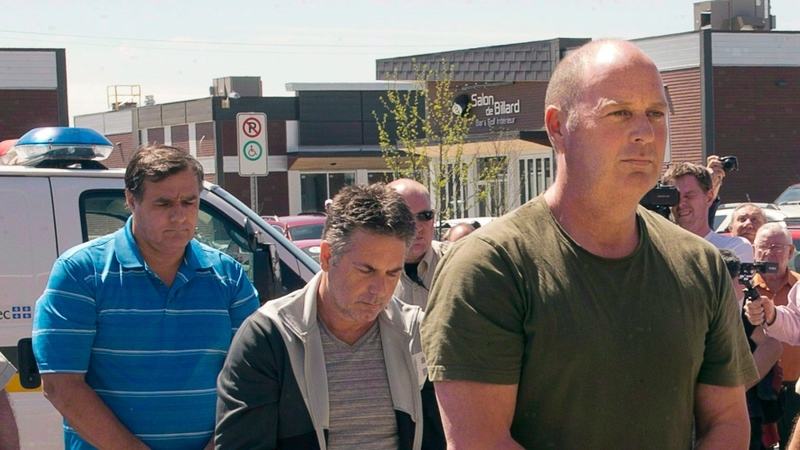 -- A teary-eyed Richard Labrie, one of the three men acquitted Friday in the Lac-Megantic rail disaster, paid tribute to the 47 people killed in 2013 and said he hopes the trial delivered the answers they and local residents were looking for. "Even though I never spoke, I always thought of you," the rail traffic controller said, his voice cracking. "I would like to say that Lac-Megantic residents, with what they had to go through, showed us a lot of courage and help and lots of resilience. "I wasn't expecting to cry. (The ordeal) was hard, it was long, but now it's finished. I just hope we can easily turn the page and slip back into the anonymity that was ours before July 5, 2013." That was the night one of Labrie's fellow accused, train engineer Tom Harding, parked the oil-laden convoy for the night in nearby Nantes. In the wee hours the next morning, the locomotive rolled away and derailed in Lac-Megantic, exploding and then killing 47 people as well as destroying part of the downtown core. 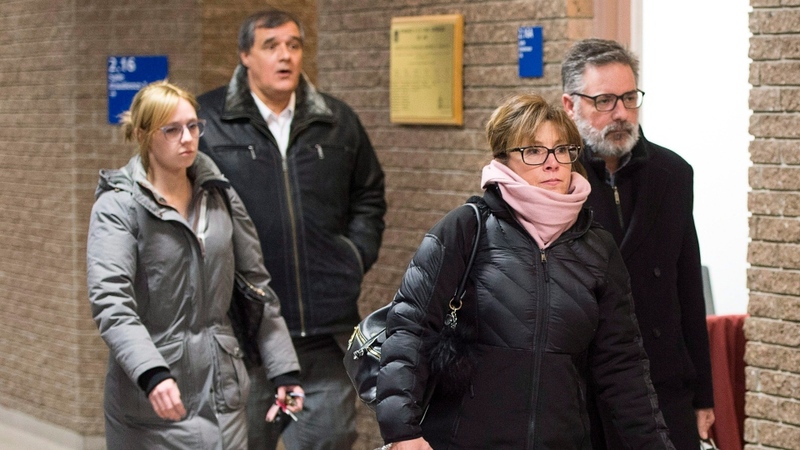 Labrie, Harding and Jean Demaitre, the manager of train operations, were eventually charged with criminal negligence causing the death of 47 people and ordered to stand trial. The trial, which began last Oct. 2, ended Friday afternoon on the ninth day of jury deliberations and shortly after the eight men and four women had asked the judge for clarifications on the instructions he had given them before they were sequestered. Thomas Walsh, one of Harding's lawyers, spoke to reporters on his client's behalf after the not-guilty verdict. "Mr. Harding is too moved by the situation to give a coherent expression of what he feels inside," Walsh said. "But I know he feels terribly relieved and terribly thankful to the system, the jury system, and this jury in particular." Crown prosecutor Veronique Beauchamp said it is too early to say whether there will be an appeal. "You'll understand it is not necessarily the decision we were expecting but we respect the verdicts that were handed down and, especially, the work the jurors put in," Beauchamp said. "Criminal negligence causing death is one of the Criminal Code provisions that is difficult to prove." 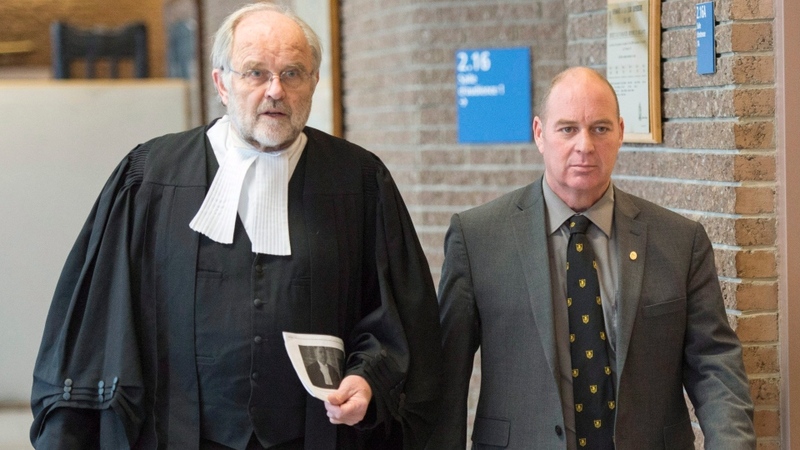 While all three accused could have been found guilty of criminal negligence causing death, jurors had the option of convicting Harding on one of two other charges: dangerous operation of railway equipment or dangerous operation of railway equipment causing death. Walsh said the verdict was proof the institution of trial before jury is an important one in a democratic system. He said he still believes the trial should never have taken place. "I think it was more proper that there be some kind of a public inquiry to find out and determine all of the circumstances that led to this tragedy -- and not just the role one or two people might have played," Walsh added. He said Harding is still facing other accusations, which are coming up later this month. "Those are the ones we always felt were more appropriate for the sitauation and those are the accusations of non-conformity with the rules, something we have always admitted." The three men all pleaded not guilty to criminal negligence. 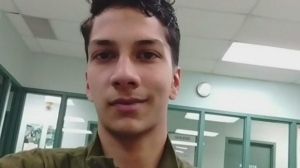 None of the accused presented a defence at the trial, but lawyers for each told the jury in turn the Crown had failed to meet its burden of proof. The prosecution mounted a case that the three were each criminally negligent in their own way for failing to ensure the train was safe before the tragedy. The Crown argued that Harding's role was a significant one because he didn't apply a sufficient number of brakes after parking the convoy for the night. That left the locomotive, which weighed more than 10,000 tonnes, resting precariously on a slope 10 kilometres away from downtown Lac-Megantic. A rail expert testified at the trial that Harding applied only half the required level of brakes and didn't test them to ensure they worked properly before leaving for the night. Another of Harding's lawyers, Charles Shearson, said his client admitted to not conducting a proper brake test. But Shearson suggested that evidence presented during the trial demonstrated Montreal, Maine and Atlantic, the company that owned the train, didn't require its employees to perform brake tests perfectly in line with the federal regulations. And Harding could not have foreseen the locomotive would catch fire after he left for the night, the lawyer added. Firefighters extinguished a blaze at the lead locomotive shortly before the tragedy and cut the engine, which meant the air brakes were not functioning. 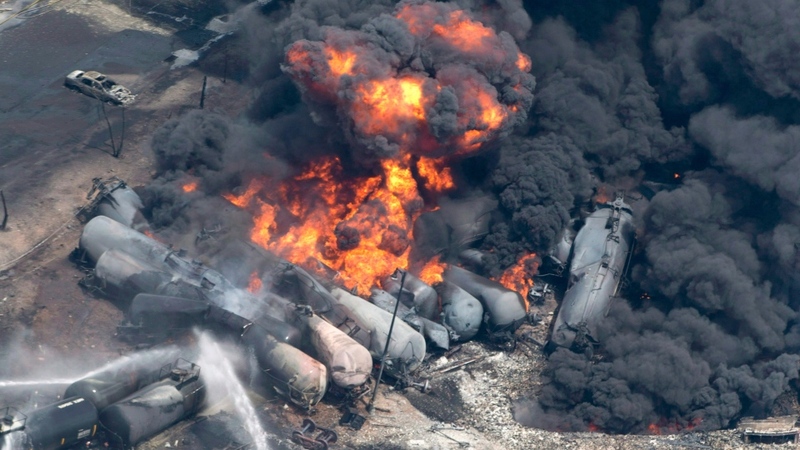 The prosecution, meanwhile, also blamed Labrie and Demaitre, arguing their responsibilities included taking the necessary steps to avoid injuries and loss of life the night before the derailment. The Crown claimed neither man deemed it necessary to check with Harding to see how many handbrakes had been applied and whether tests had been conducted.